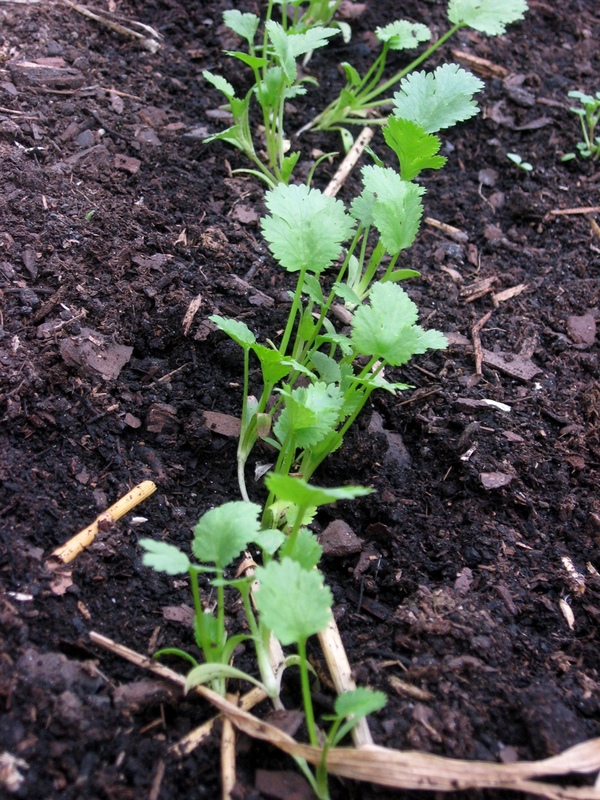 As we’d recently mentioned, winter weather in St. Louis had been wonderfully mild. 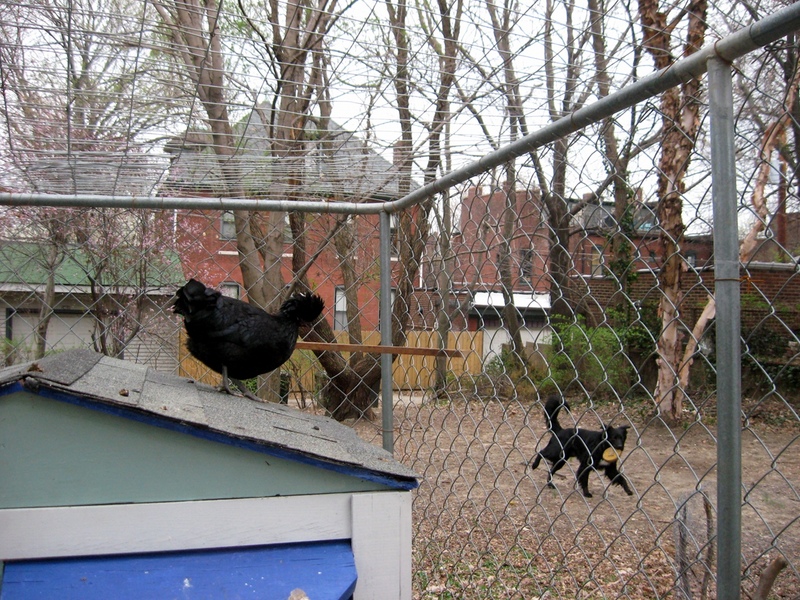 We took advantage of it, and so did the chickens. 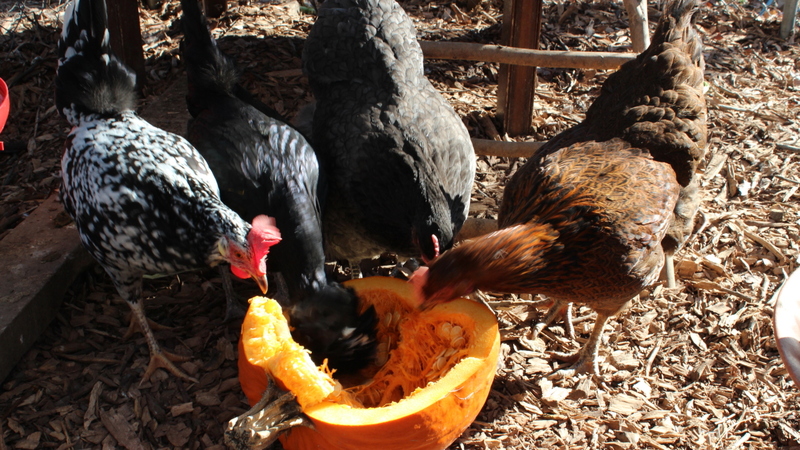 They even got to peck at a pumpkin we rescued from the trash- quite an autumn-like treat! The weather was particularly kind to the ladies who molted, who didn’t have to face freezing temperatures without a full coat. 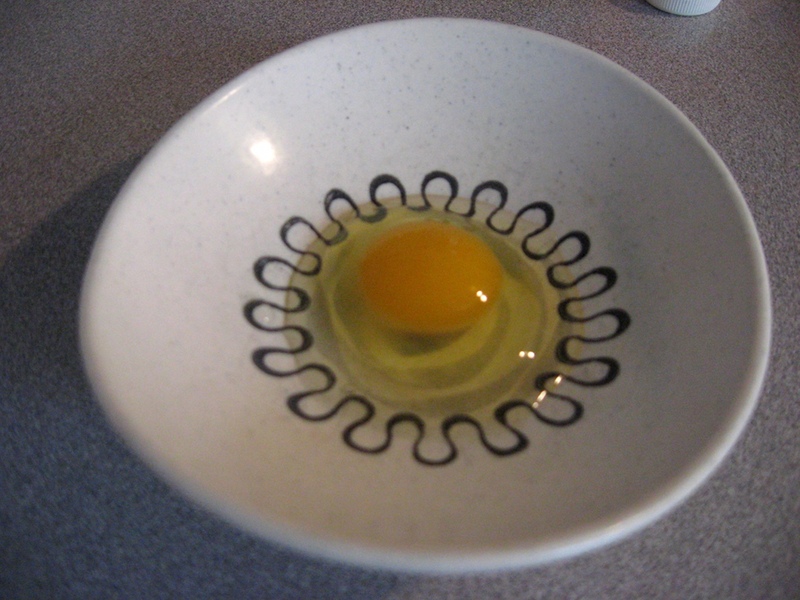 We stopped getting eggs when they molted and as the hours of daylight diminished. 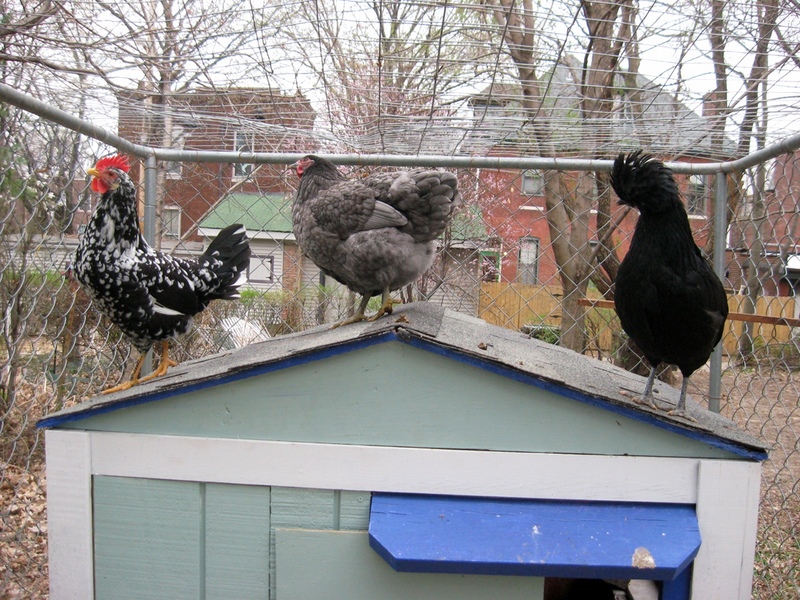 A few days ago, Eric had a dream about finding an egg in the ladies’ nesting boxes. 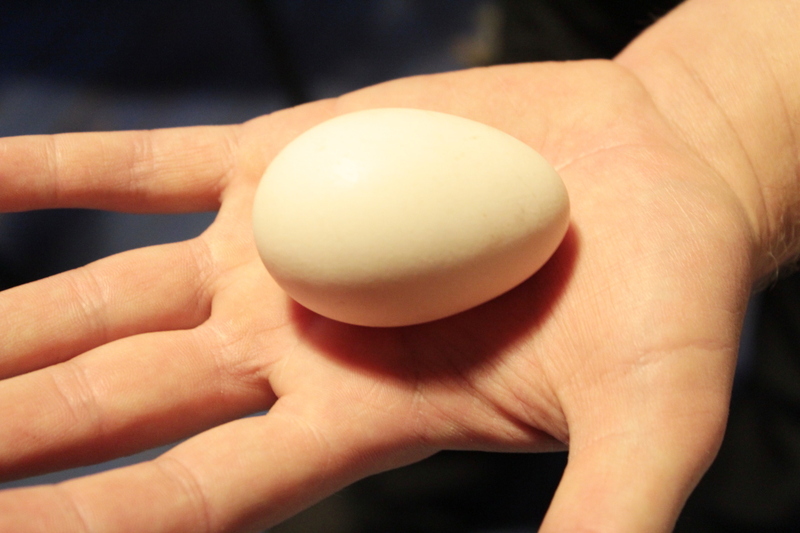 Unbelievably, after more than a month with no eggs, there was an egg waiting for us! 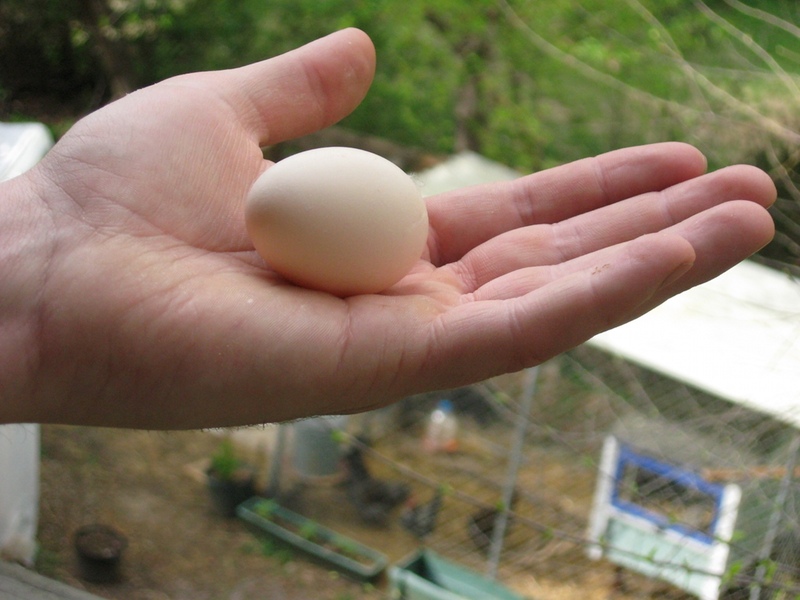 And we got another egg the next day, too. Yesterday, winter hit suddenly. We got our first snow, and the daytime temperature plummeted from the balmy 50°F we’d enjoyed the day before to a frigid high around 20°. 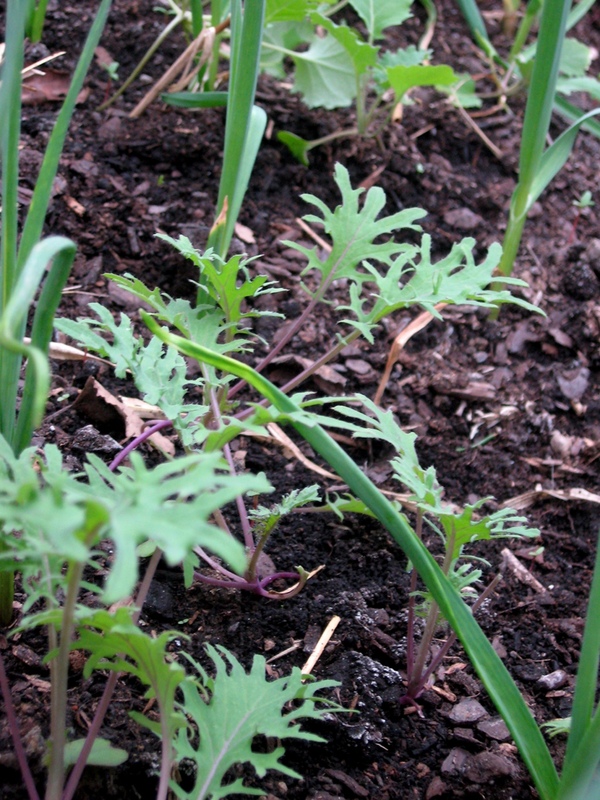 The ladies huddled together for warmth and protection from the wind. Some chicken owners provide a heat lamp in the coop for their birds, to keep them comfortable and encourage egg production. 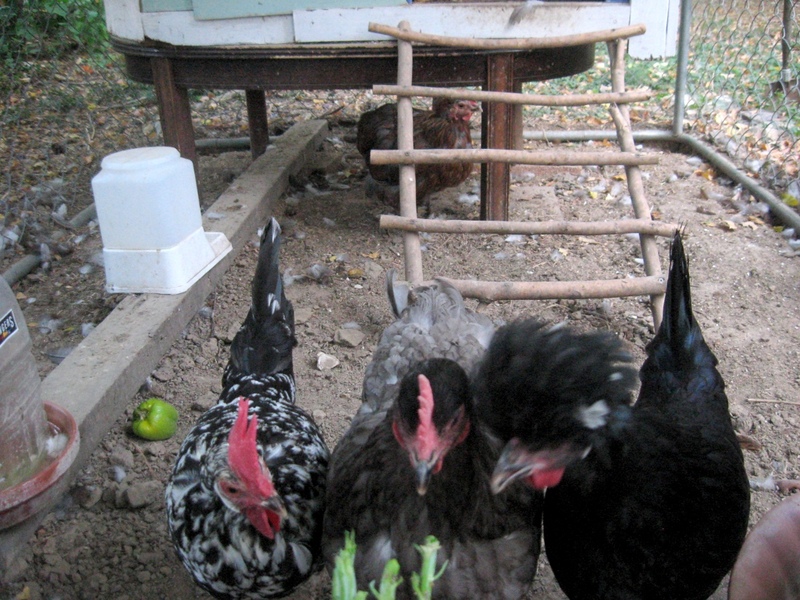 Our coop is too small to safely provide a heat lamp, and even so the ladies would still have to go outside of the coop to access food and water, which would be a shock to their system. 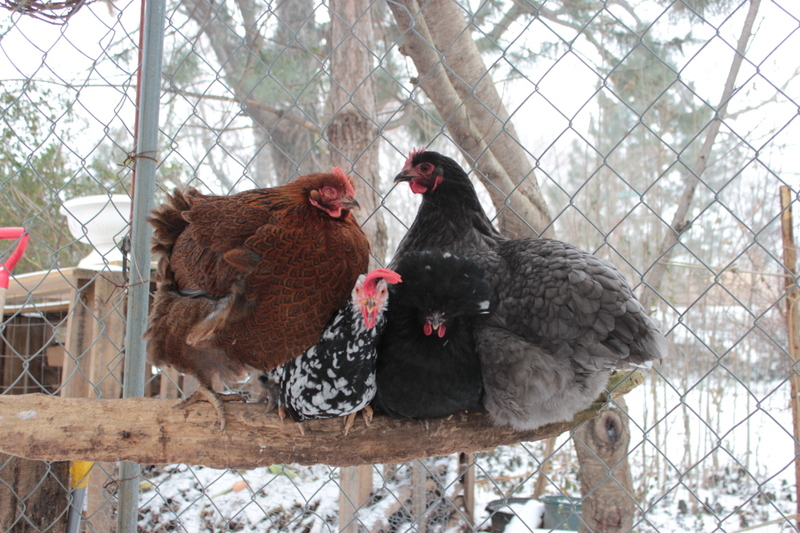 We decided that it’s best to let the ladies acclimate to the weather, even if it means no eggs. 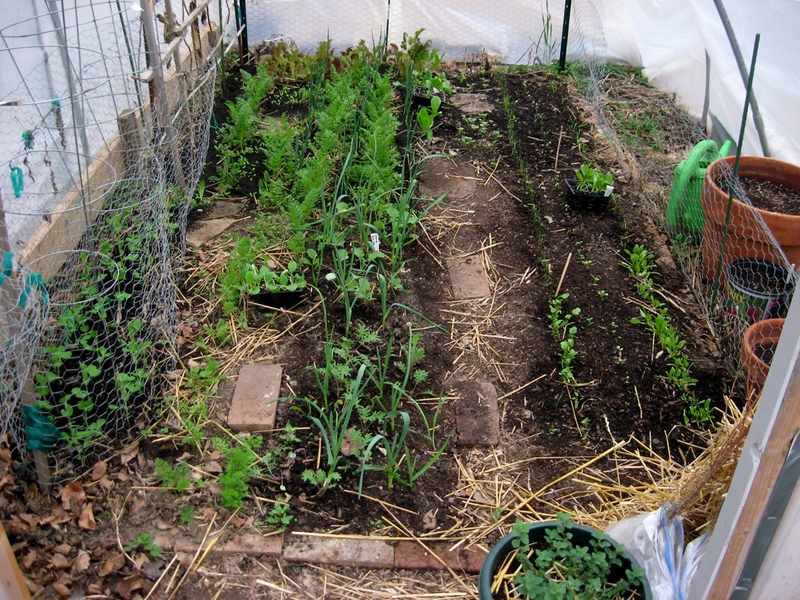 However, we have taken measures to help keep them comfortable in the new winter weather. 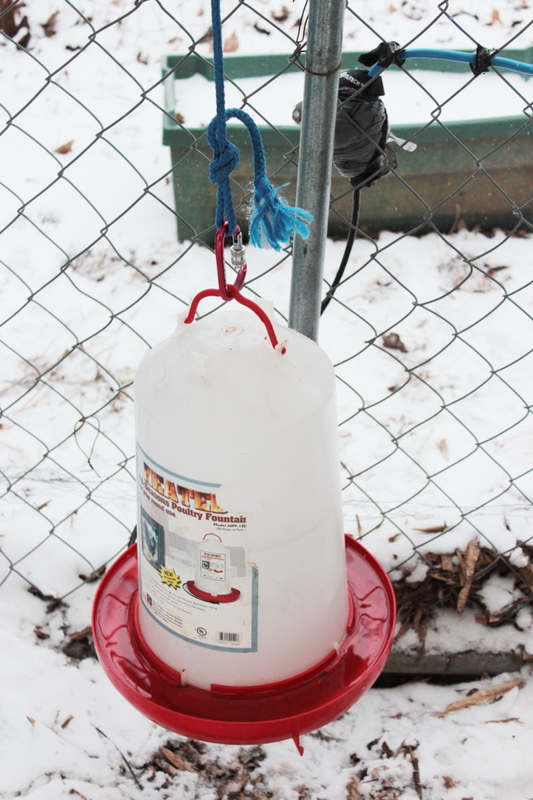 We had already set up an electric chicken waterer to keep thawed water available at all times. 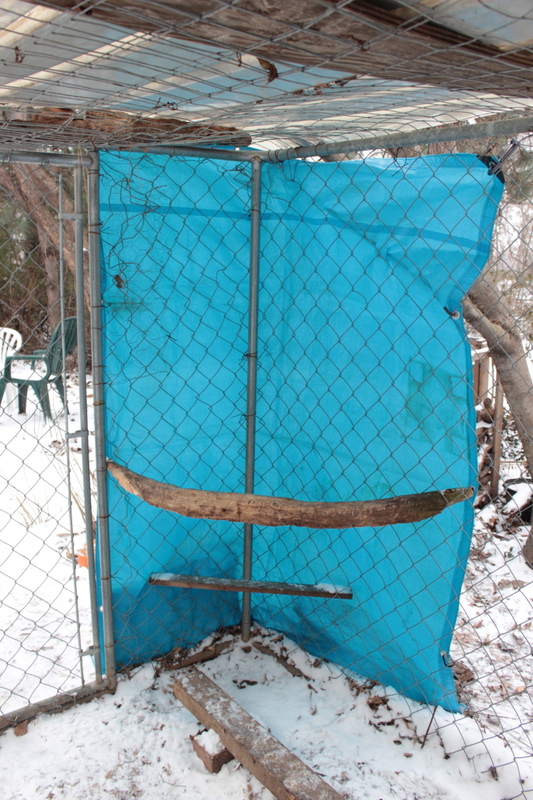 In the snowstorm yesterday, we quickly hung a tarp around one of the corners of the pen to act as a wind stop. This hawk was sitting on top of our chicken pen this afternoon… it was about as big as Chica! 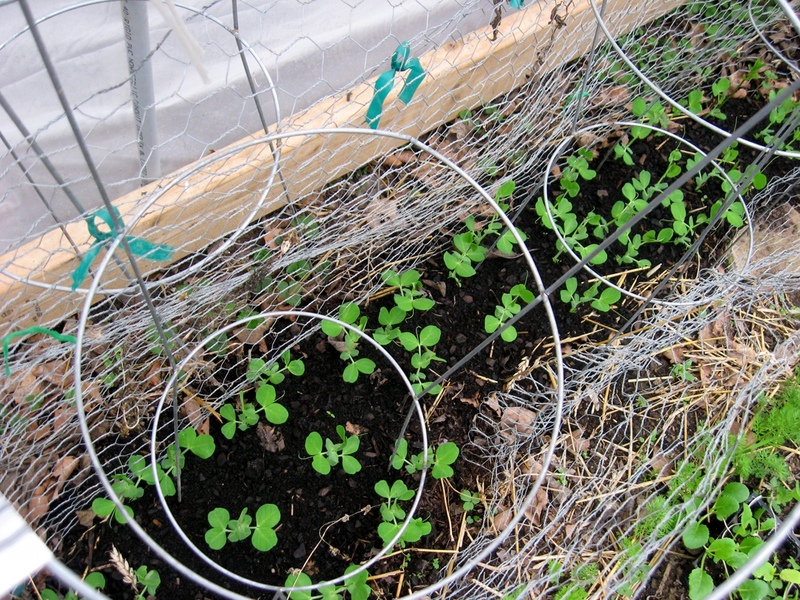 Good thing the ladies are completely fenced in, including chicken wire and corrugated plastic on top, and chicken wire buried along the sides underground. 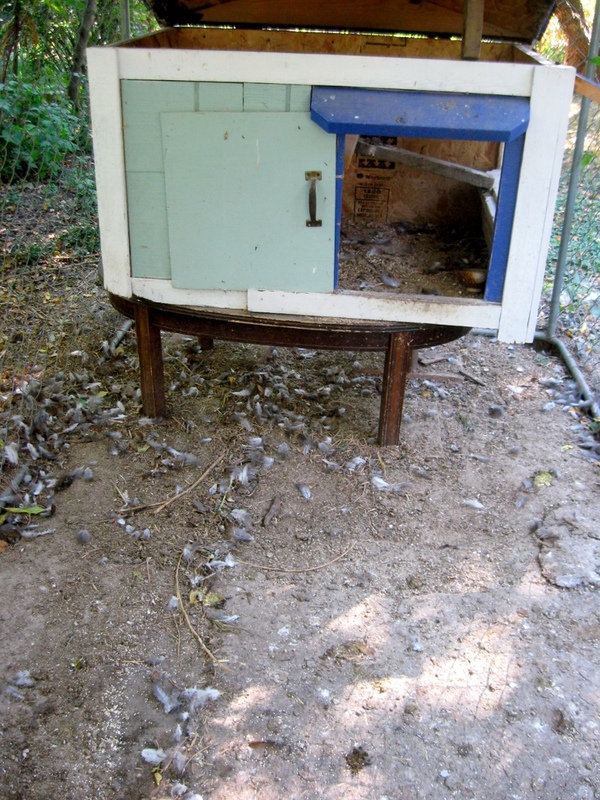 It looks like one of our ladies exploded in the chicken run, but fortunately it’s just Mother Clucker and Fanny molting. Chica and Yolko appear to be on a different schedule. 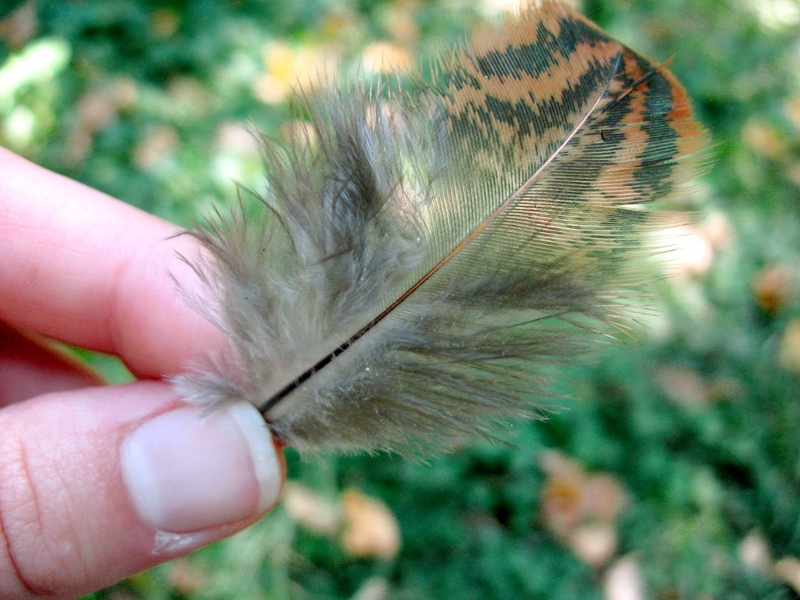 They’re shedding their feathers and will grow in a new set to keep them warm this winter. 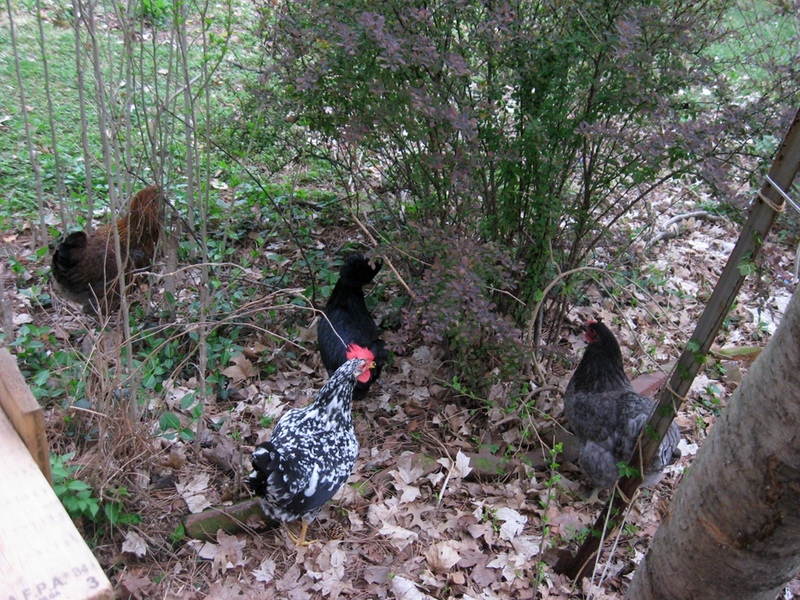 Mother Clucker, the Partridge Rock hen at the right, is in the worst of it. 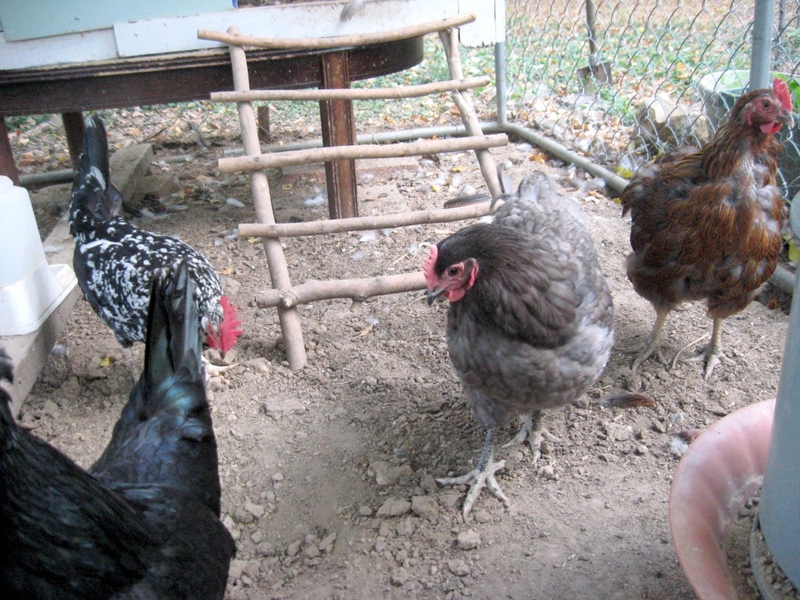 Molting chickens may look and act sickly- as you can see here Mother Clucker is hiding and refusing treats- but they’re focusing all of their energy on regrowing their feathers. 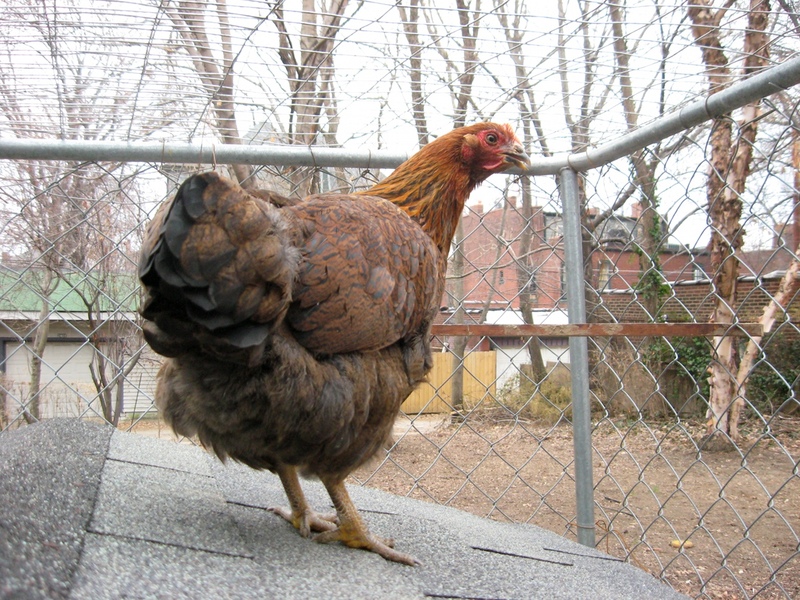 Molting chickens need extra protein to stay warm and replace protein lost through their molting. We’ll keep them warm and full with protein-rich scratch. 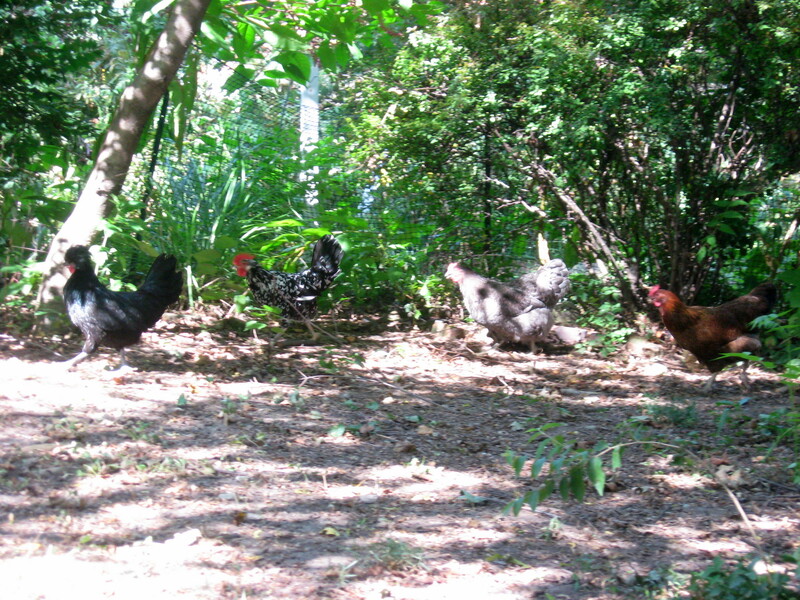 We let the girls free range in the side yard for about an hour yesterday. 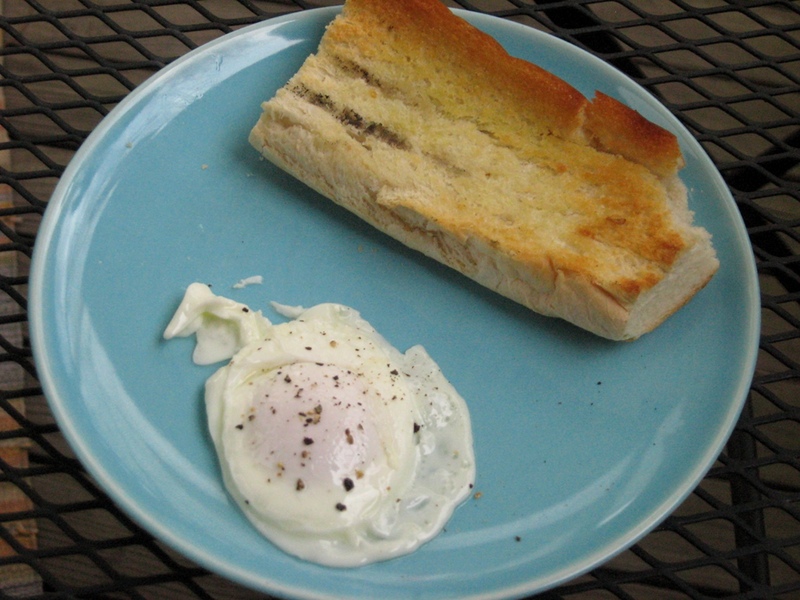 Today we got our first egg! 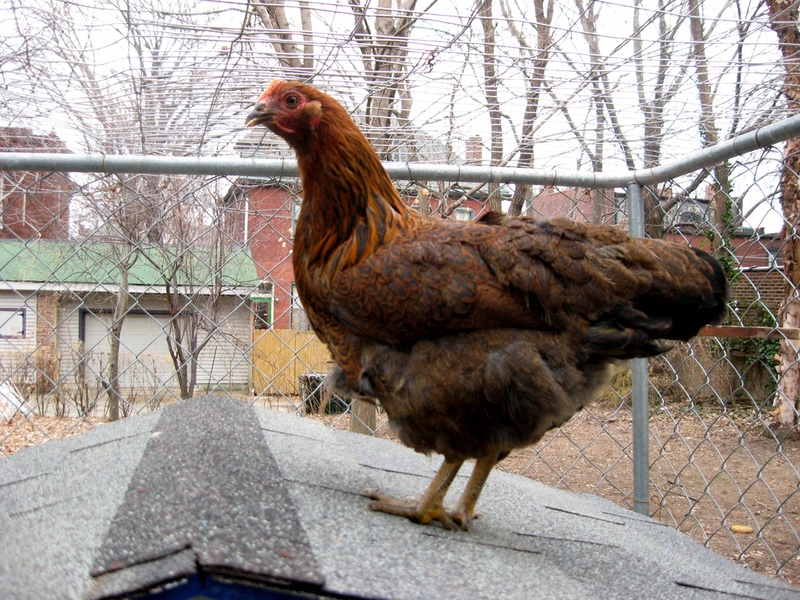 The poll is closed and the votes have been tallied; our fourth chicken is hereby named Mother Clucker! We had a lot of fun reading through all the creative chicken names that were submitted, thanks everyone for the great ideas! We ended up using three of ’em, so Pat, Bone, and Rachel will receive a dozen eggs each when we get ’em, hopefully in a few weeks. 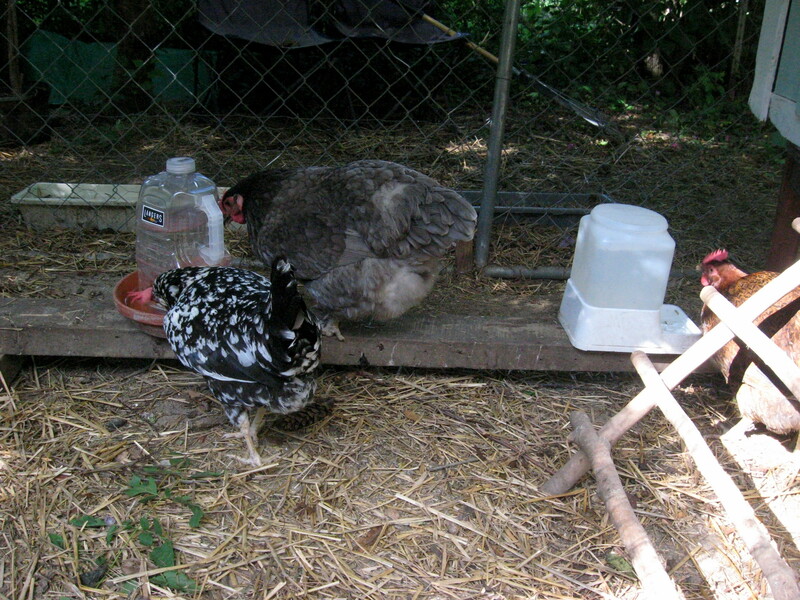 Meanwhile, it’s been a week and our chickens have adapted to their new home. Check out our pictures below to see the set up! Here's the chicken area before it was all completed. The pen was wrapped in chain link fencing, with a protective layer of chicken wire on top and along the sides at the bottom. 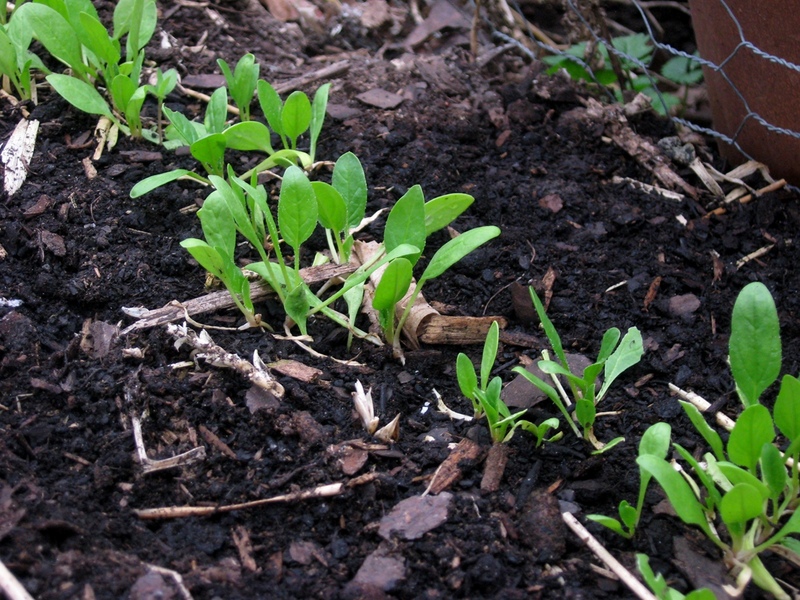 We extended it outward along the ground to prevent burrowing predators. 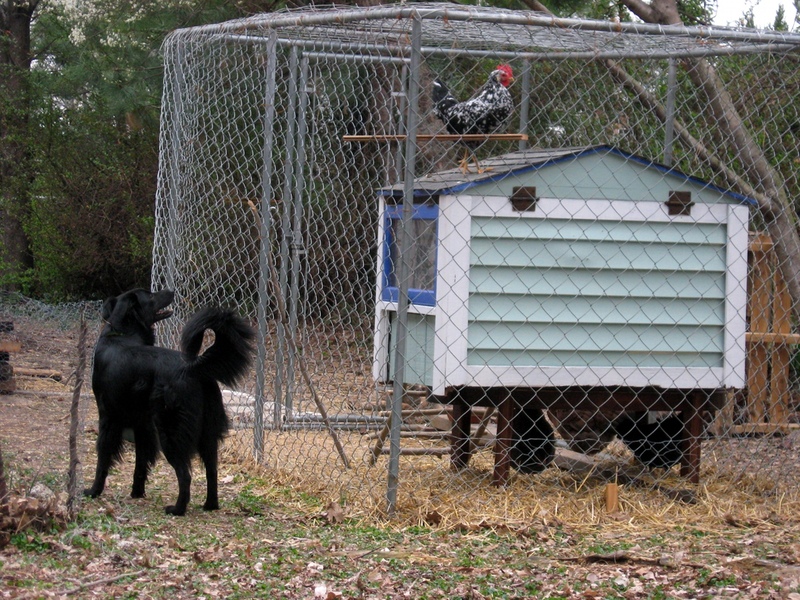 Our completed dog house-turned-chicken coop, which sits on a coffee table we found in the trash. 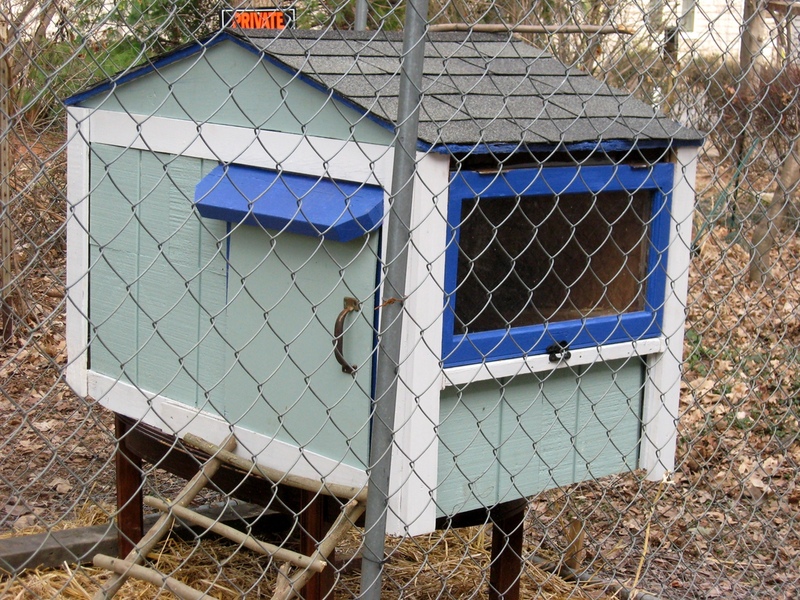 We outfitted the coop with a window, ladder, and sliding door. 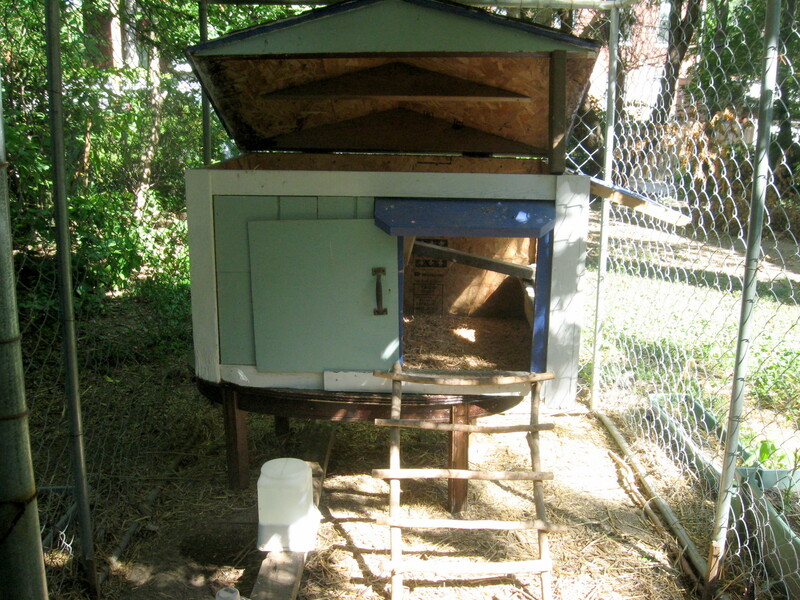 Here you can see the coop with the door, window, and roof open. 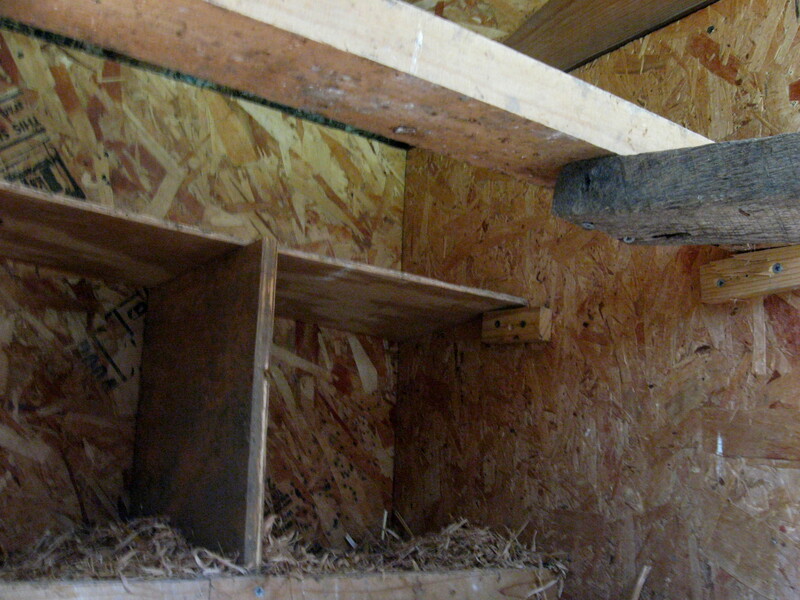 Inside are two roosts and two nesting boxes made from reclaimed wood. 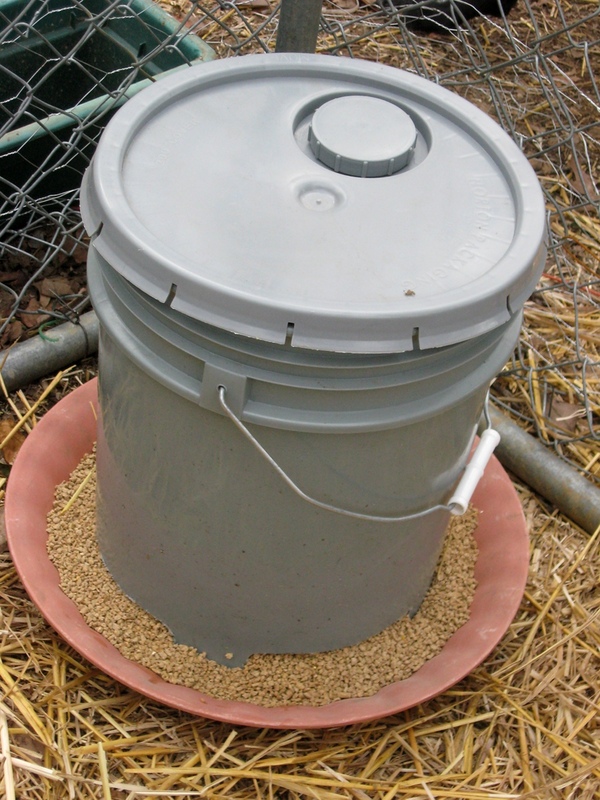 We cut slots into the bottom of the sides of a bucket and fastened it to a plant tray to make this chicken feeder. 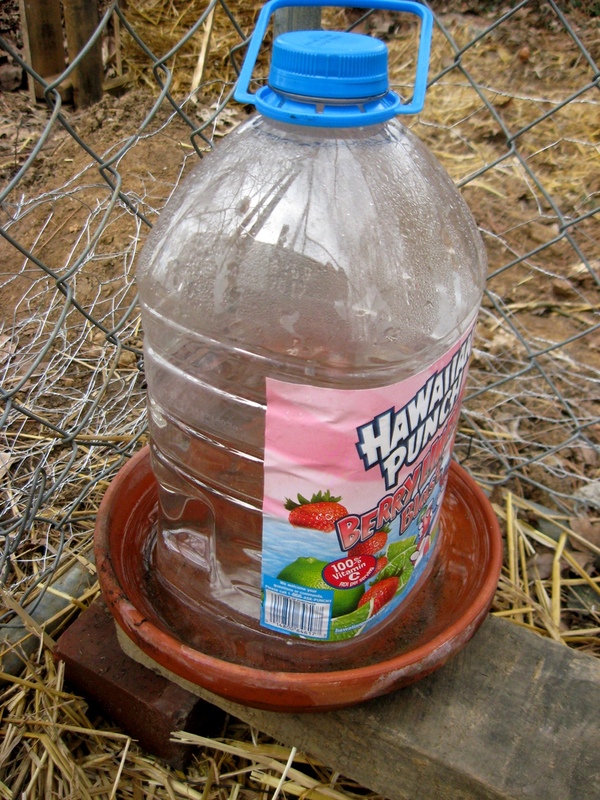 This plastic jug with a hole cut out near the bottom sits in a plant tray to hold water for the chickens. Meet Fanny, our Jersey Giant. 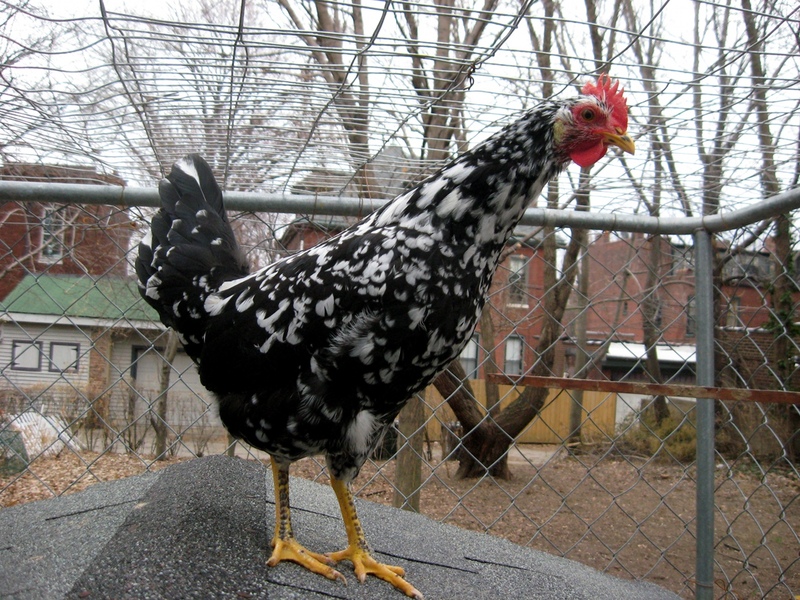 This is Yolko, an Ancona hen. 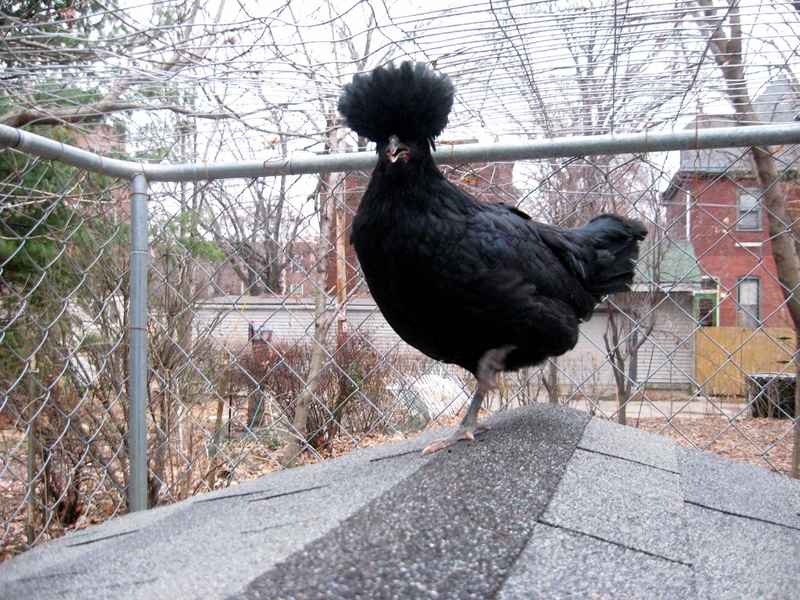 Here's Chica, our Polish hen. She's iridescent in person, and she's got attitude. Maybe because her crest restricts her vision so much! Presenting to you for the first time, here's Mother Clucker (formerly Ms. X), our Partridge Rock hen. 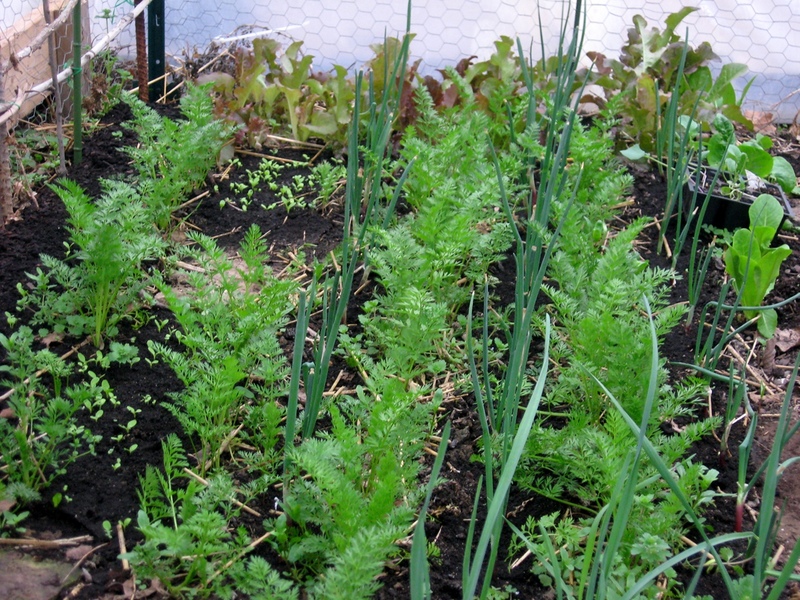 They’re about 20 weeks old and should begin laying soon. We’re looking forward to having lots of eggs! Good news! 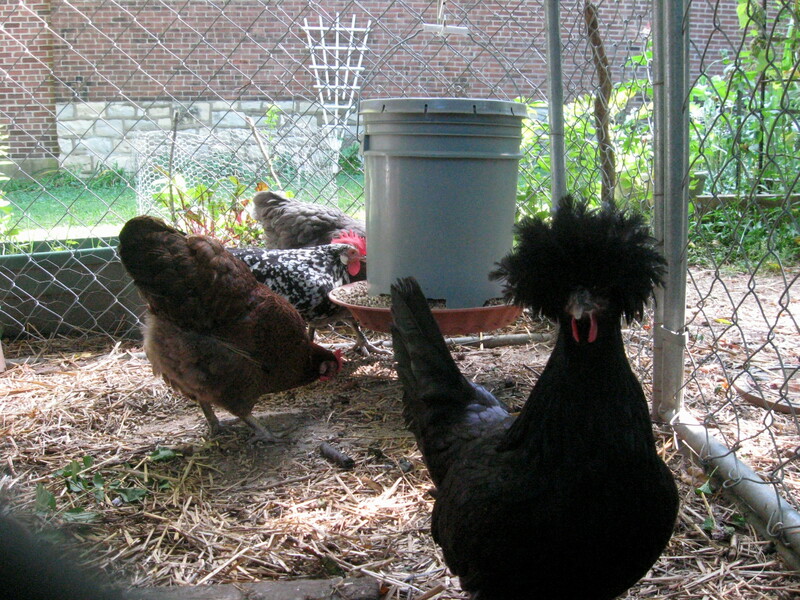 We got our chickens yesterday and they’re rapidly adjusting to their new home. 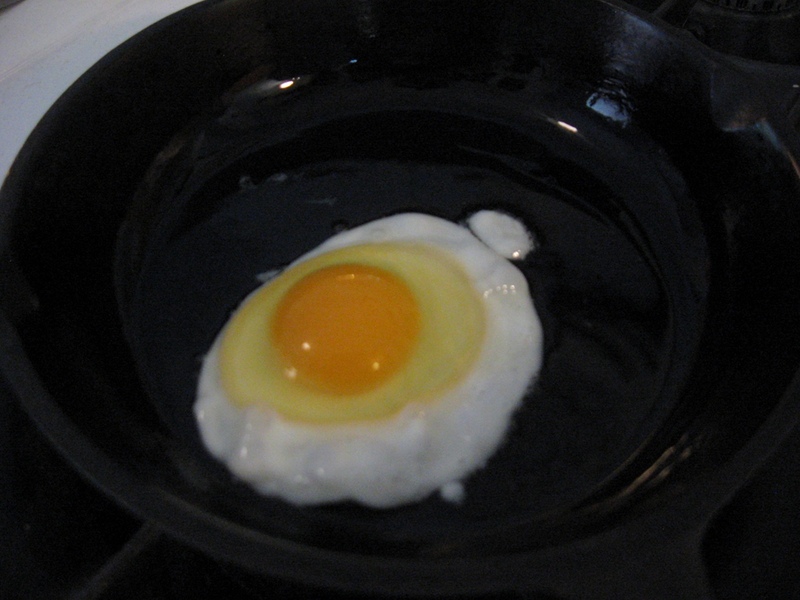 We named our Ancona Yolko, our Jersey Giant Fanny (Rachel’s suggestion), and our Polish hen Chica (Bone’s suggestion). 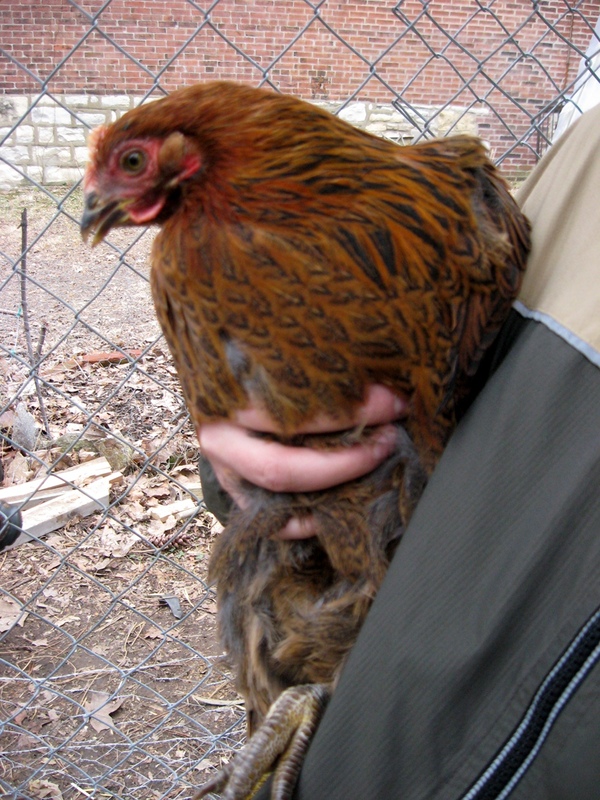 So, in lieu of Frugal Friday, we’ve created a poll to choose the name of our fourth chicken, a Partridge Rock hen. Vote for your favorite and we’ll name her at the end of next week! Note: If you select “Other” you’ll have to leave a comment with your suggested name; the poll doesn’t track the written-in part. 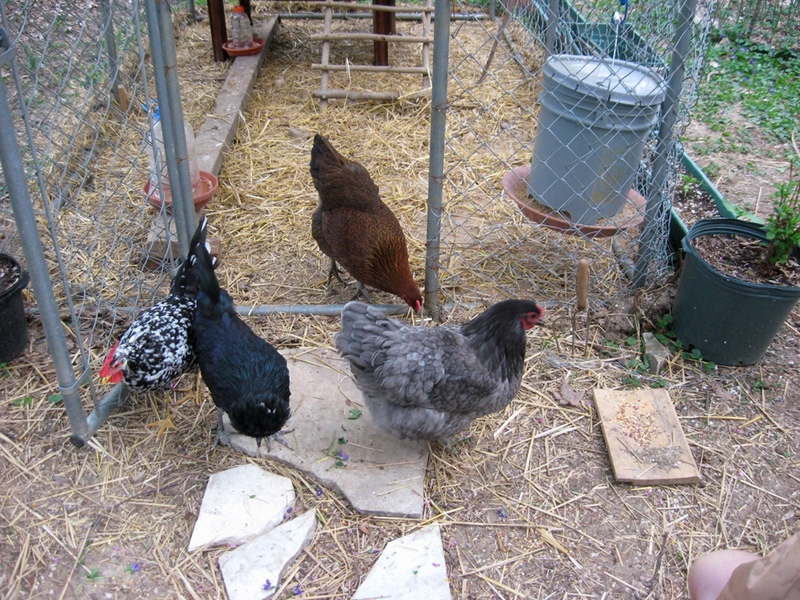 Pictures of our other chickens will be up soon! 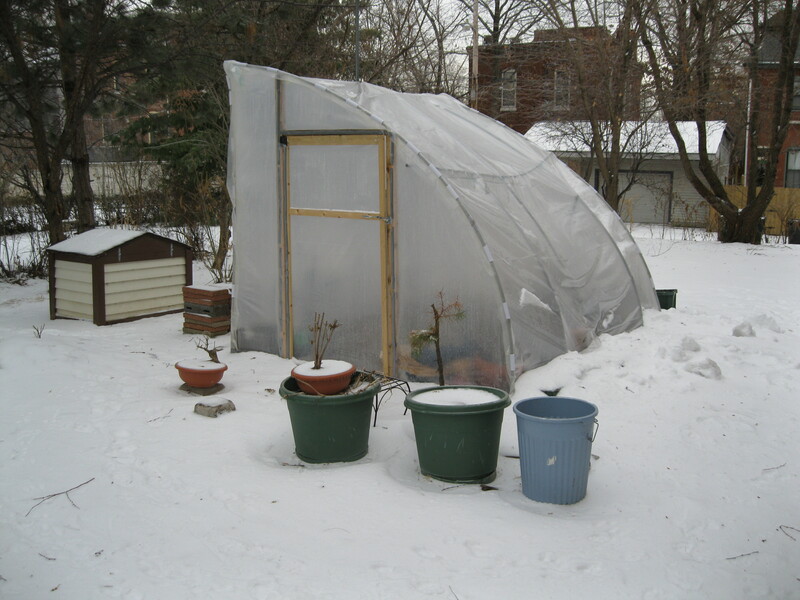 Here you can see the dog house in the background to the left of the hoop house. 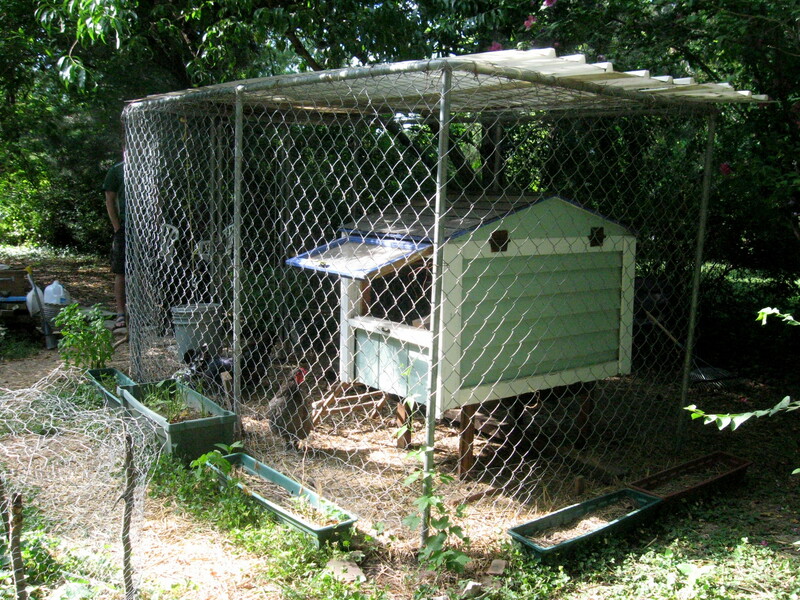 We bought it for $30 intending to use it as a chicken coop. 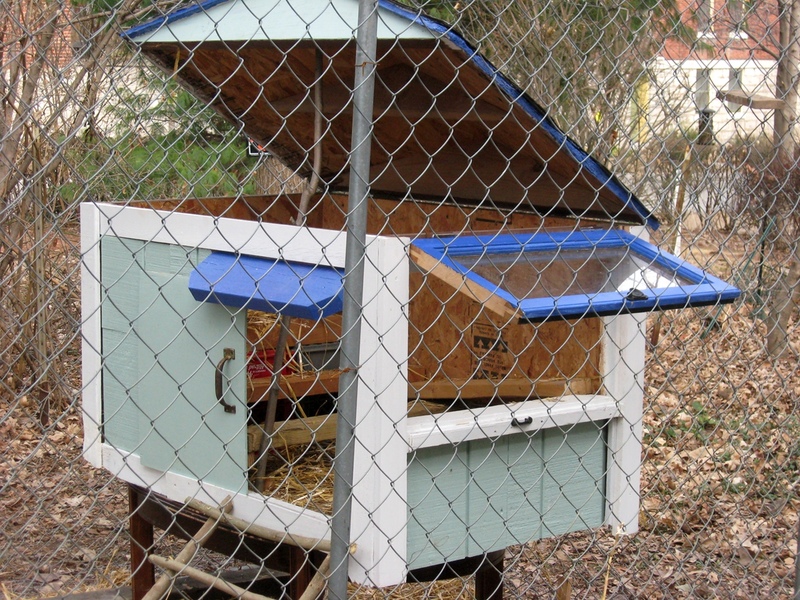 It has a hinged roof, which will make collecting eggs easy. 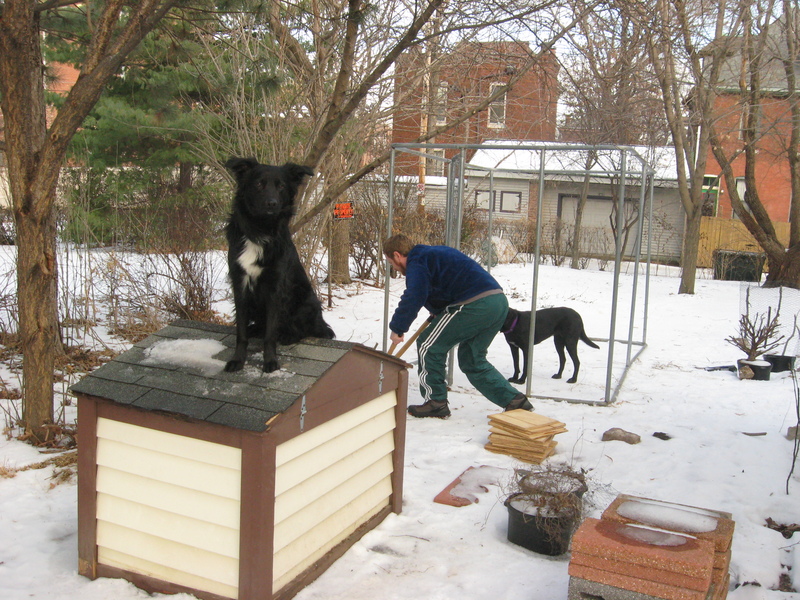 This is the only picture I have of it before we started altering from a dog house into a chicken coop. 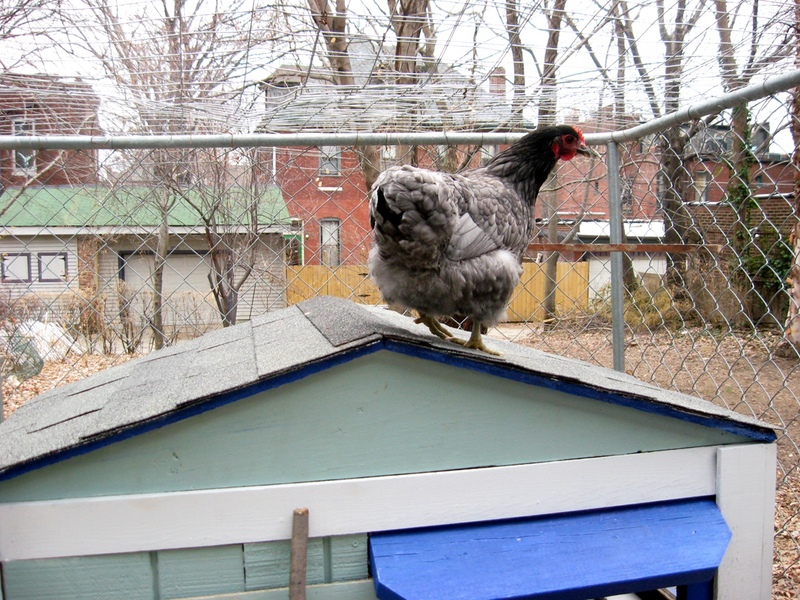 We raised the coop off of the ground by setting it on a coffee table we found in the trash. We bought the window and hinges from a local guy named Reegan, who has a warehouse full of amazing stuff on S. Broadway just south of the AB Brewery in the old Lemp Brewery area. On Saturdays, he has a bicycle on the curb with a sign that says “Junque Sale.” We highly recommend this place if you need any reused or antique building materials. The sides of the dog house had siding on them but it was wearing out, so we ripped the siding off and pieced together T1-11 paneling scraps that we got from a friend. 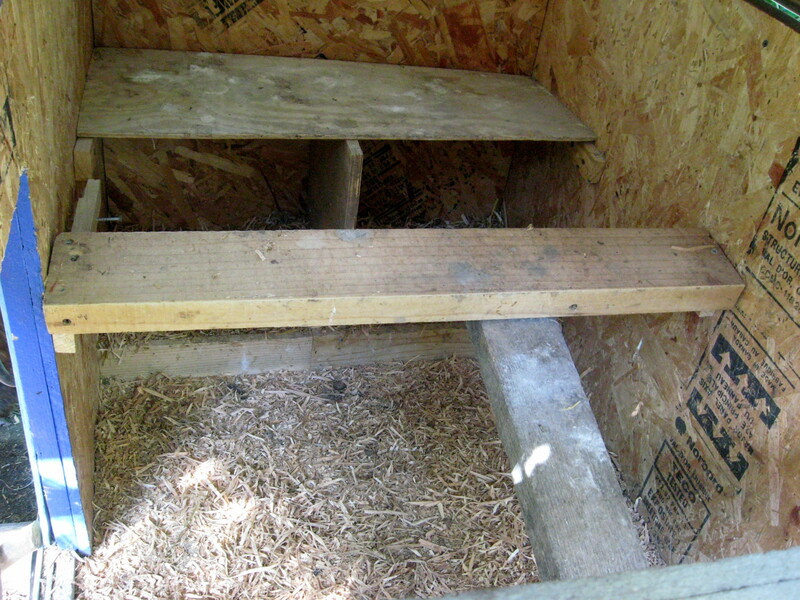 We also built three nesting boxes and a roosting pole on the interior of the coop. 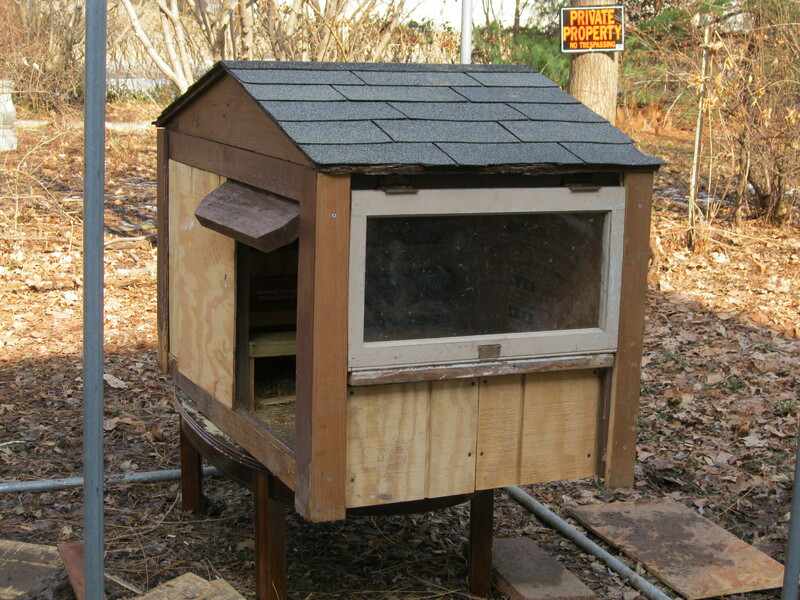 We will post pictures of the painted and completed coop and run in the near future. It looks like we may be getting chickens a little sooner than we thought! 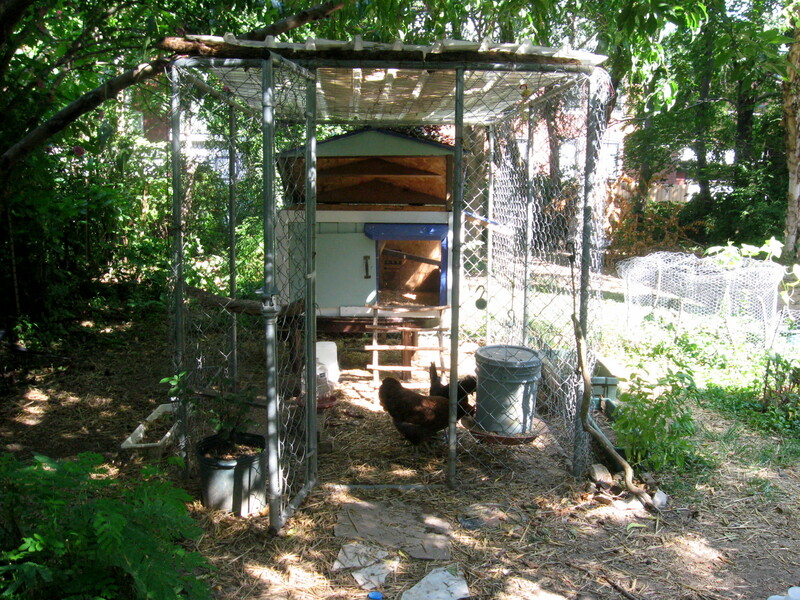 Edit: See more of our chicken coop in our post Our Chicken Set-Up.